Youtube video by the Coalition of Museums for Climate Justice. See also Youtube video by Robert R. Janes: Museums and Climate Change. Video series created by the Alberta Museums Association and the Coalition of Museums for Climate Justice, in partnership with Shadow Light Productions. The videos address ways for individuals and organization to engage in climate change action and are intended to be integrated into museum exhibit spaces and online platforms as a free educational tool. They are also a follow-up to Museums and the Climate Challenge, that was aimed at museum professionals with the intention to mobilize the museum sector to think differently about their role in climate change awareness and resiliency. "A decade after An Inconvenient Truth brought the climate crisis into the heart of popular culture, comes the riveting and rousing follow-up that shows just how close we are to a real energy revolution. Former Vice President Al Gore continues his tireless fight, traveling around the world training an army of climate champions and influencing international climate policy. Cameras follow him behind the scenes — in moments both private and public, funny and poignant — as he pursues the inspirational idea that while the stakes have never been higher, the perils of climate change can be overcome with human ingenuity and passion." 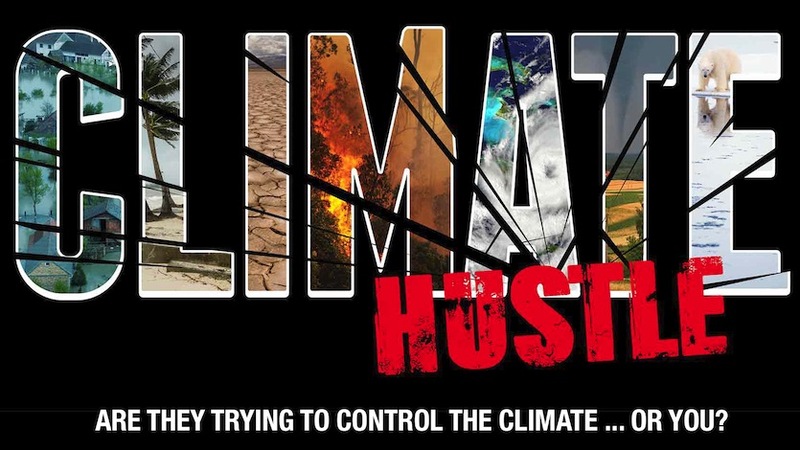 Climate Hustle is a 2016 film rejecting the existence and cause of climate change, narrated by climate change denialist Marc Morano, produced and directed by Christopher Rogers, co-written by Morano and Mick Curran, and funded by the Committee for a Constructive Tomorrow (CFACT), a free market pressure group funded by the fossil fuel lobby. 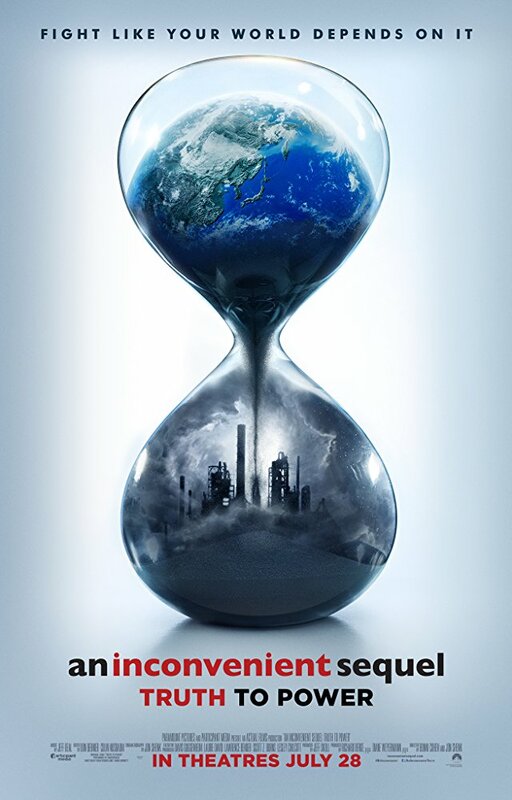 Its Tomorrow is an upcoming Indian film about Climate Change written by Dr. Rajeshkumar Acharya and is being directed by Zanane Rajsingh. The film is being jointly produced Nanoland Group (USA & India). It is being produced in two parts in the USA along with breath-taking visuals shot in natural calamity occurring regions of the world including Japan, Tibet, Philippines, Argentina, Iceland and India. It will be dubbed in nine languages and is scheduled to release in November 2014. It will be dubbed in nine languages and is scheduled to release 2015 - 2016. The Anthropologist is a 2015 American documentary film directed by Seth Kramer, Daniel A. Miller, and Jeremy Newberger of Ironbound Films. The film follows environmental anthropologist Susie Crate and her teenage daughter Katie as they visit indigenous communities threatened by climate change. Featuring commentary from Mary Catherine Bateson, daughter of famed anthropologist Margaret Mead, the film explores how human beings adapt to catastrophic change. Climate Change Denial Disorder (CCDD) is a satirical short film which parodies climate change denial and perspectives on climate changethrough discussion of a fictional disease. The film stars actors Ed Begley Jr., Timothy Brennan, and Susan Yeagley. It was directed by Carly Usdin, written by Nicol Paone, and produced by Brianne Trosie. The film was released on April 14, 2015, by comedy video website and film/TV production company Funny or Die and on April 16 to YouTube. Tomorrow: Climate is changing. Instead of showing all the worst that can happen, this documentary focuses on the people suggesting solutions and their actions. If You Love Your Children is a 2014 Canadian short film - depicting climate change, directed and produced by Sanjay Patel. The film has received many awards and nominations since its release in August 2014. If You Love Your Children is a story of Raj, an engineer working in the energy industry who wants to write a book about climate change. In his quest to get the book published, he loses everything - his job, his girl and his hope. But Raj finds his commitment to be stronger than his desires and in the end, he rises above his losses to realize his dream. 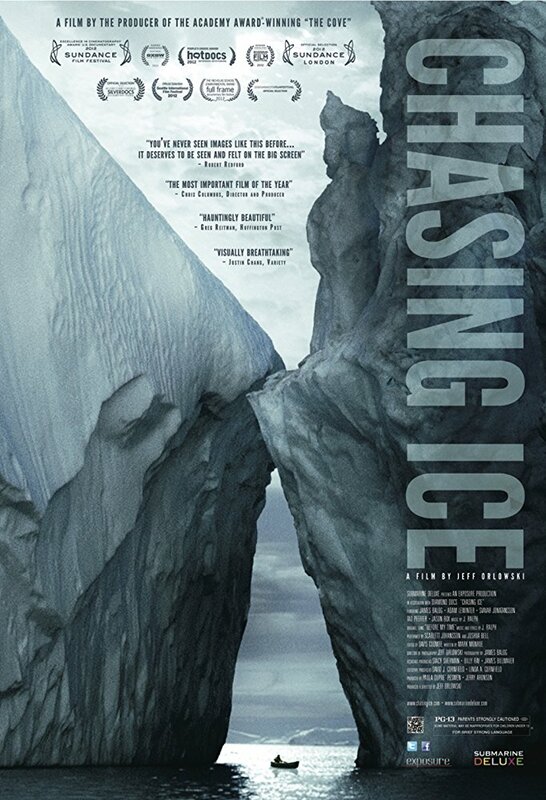 Chasing Ice is a 2012 documentary film about the efforts of nature photographer James Balog and his Extreme Ice Survey (EIS) to publicize the effects of climate change, directed by Jeff Orlowski. It was released in the United States on November 16, 2012. 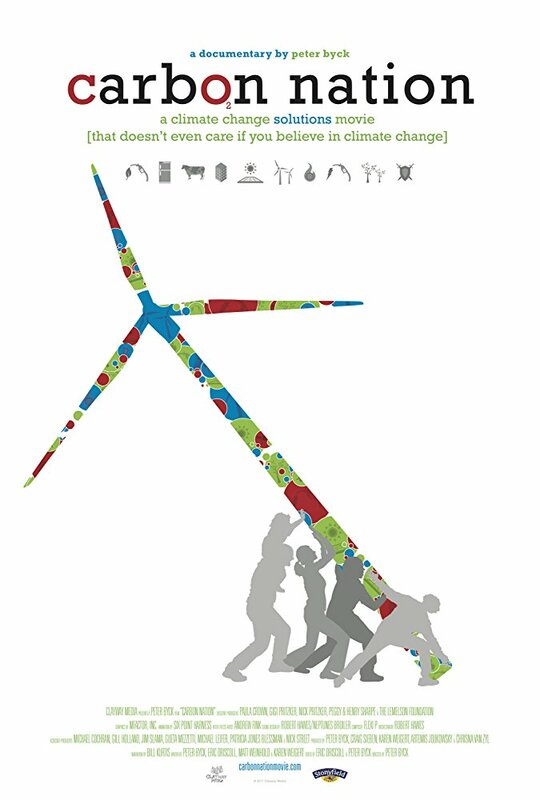 Carbon Nation is a 2010 documentary film by Peter Byck about technological- and community-based energy solutions to the growing worldwide carbon footprint. The film is narrated by Bill Kurtis. ASIN: B0055T46LA (Rental) and B0055T46G0 (Purchase). Climate Refugees is the first feature film to explore in-depth the global human impact of climate change and its serious destabilizing effect on international politics. 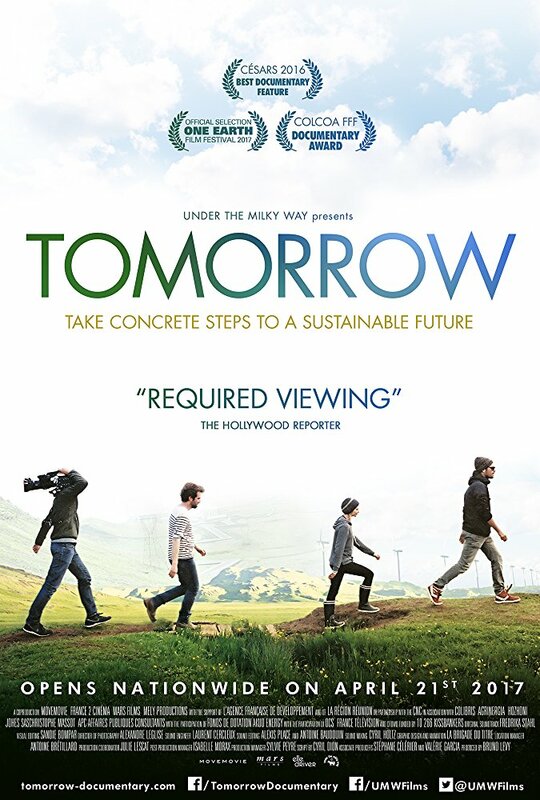 The film turns the distant concept of global warming into a concrete human problem with enormous worldwide consequences. Experts predict that by mid-century hundreds of millions of people will be uprooted as a result of sea level rise and an increase in extreme weather events, droughts and desertification. Little is being done to plan for the potential mass migration of millions of refugees who will be forced to cross national borders. According to the UN, there are already more environmental refugees in the world than political or religious refugees. The Pentagon now considers climate change a national security risk and the phrase “climate wars” is being talked about in war-rooms. The filmmakers traveled the world for nearly 3 years to document the impact of climate change, witnessing inhabitants of countries forced to leave their homes by climatic events with little or no protection. The film features a variety of leading scientists, relief workers, security consultants, and major political figures, including John Kerry and Newt Gingrich. All make a strong case that, whether human-caused or a product of nature, the changing climate is already creating humanitarian disasters and will inevitably lead to worldwide political instability. Climate Refugees was filmed in Bangladesh, Tuvalu, China, Fiji, Chad, Sudan, Kenya, Maldives, Europe and the US. The Age of Stupid is a 2009 British documentary film by Franny Armstrong, director of McLibel (1997) and Drowned Out (2002), and founder of 10:10, and first-time producer Lizzie Gillett. The executive producer is John Battsek, producer of One Day in September (1999). The Great Global Warming Swindle is a polemical documentary film that suggests that this the scientific opinion on climate change is influenced by funding and political factors, and questions whether scientific consensus on global warming exists. The program was formally criticised by Ofcom, the UK broadcasting regulatory agency, which upheld complaints of misrepresentation made by David King. "Featuring the pioneering work of world renowned scientist Dr. Charles Keeling, The Venus Theory clearly explains the science behind global warming. Dr. Keeling's recordings of carbon dioxide at the Mauna Loa Observatory first alerted the world to the possibility of anthropogenic contribution to the "greenhouse effect" and global warming. His research showed that the atmospheric concentration of carbon dioxide has grown significantly in recent years from 315 ppm in 1958, with the increases correlated to fossil fuel emissions. The film interviews leading scientists from around the world who present their projections that the Earth may warm 4-10 degrees by the end of the century, and what consequences this holds for our planet and various species, including humankind. Our "sister" planet Venus is cited as an example in which natural events created "runaway" global warming, making life impossible. The scientists explore whether the Earth's temperature may one day equal that of Venus." The essay film Sans Soleil, moves between actual and fabricated stories and images, narrated by the female protagonist who reads letters seemingly sent from a fictitious cameraman named Sandor Krasna. The blending of innocent scenes such as the Icelandic children at the start of the film, are contrasted with others which are violently explicit, for example witnessing the same location at the end of the film covered in ash. The film evidences the shift in locations and also the changes in the environment, which highlights the fleeting and transient temporalities due to climate change. This film follows Robert Smithson and Nancy Holt moving through the swamp. Holt has limited visibility, only relying on her vision through the recording camera’s viewfinder, along with the directions given by Smithson. The camera lens becomes Holt’s optical lens, and because of this the audience visually experiences the process of moving through the swamp with the artists. The vision, which is blurred, could symbolize our personal experience of moving through the changing climate, and our individual and collective role in sustaining the environment. The viewer does not see images of flowers, but images of the surviving victims of the nuclear bombing. We see upsetting images of children’s hair falling out, and of a child receiving medical treatment after the bombing. Marguerite Duras and Alan Resnais wanted to create a contrast between the narrative of flowers associated with the beauty of nature and, in contrast to the devastation of Hiroshima, suggesting an intense interconnectedness between animals and environment. Stuart K. Allison, Ecological Restoration and Environmental Change: Renewing Damaged Ecosystems (United Kingdom: Taylor & Francis, 2012), 188.